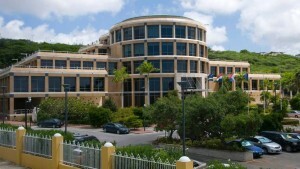 WILLEMSTAD/PHILIPSBURG – According to the Quarterly Bulletin of the Centrale Bank van Curaçao en Sint Maarten, the economic performance in the monetary union was disappointing during the third quarter of 2016. Growth remained flat in Curaçao (0.0%) while Sint Maarten recorded a real GDP contraction of -0.3%. Growth remained flat in Curaçao caused by a decline in public sector activities, offsetting subdued private sector growth. The positive outcome in, particularly, the construction and utilities sectors was offset in part by fewer activities in the restaurants & hotels, and the transport, storage & communication sectors. The upbeat performance of the construction sector was supported by the growth in public and private sector investments. Meanwhile, the gain in the utilities sector was driven by increased production of water and electricity. Real output also expanded in the manufacturing sector, albeit at a much slower pace compared to the third quarter of 2015, as a result of an increase in ship repair activities moderated by a drop in refining activities. By contrast, real value added shrank in the restaurants & hotels sector reflecting a decline in the number of visitor nights, stay-over arrivals, and cruise tourists. The contraction in the transport, storage & communication sector was related to a drop in air transportation and airport-related activities. In addition, activities at the harbor were down as reflected by declines in oil storage activities and in the number of ships piloted into the port. Meanwhile, growth remained flat in the wholesale & retail trade sector as the increase in domestic spending was offset by declines in tourism spending and free-zone activities. Meanwhile in Sint Maarten, real value added dropped in both the public and private sector during the third quarter of 2016 compared to the third quarter of 2015. The negative contribution of the public sector to GDP was reflected primarily by a drop in taxes on goods & services, i.e., the turnover tax, as a result of lower consumption and tourist spending. The contraction in the private sector was caused mainly by the wholesale & retail trade sector that was also affected by the declines in consumption and tourist spending. Meanwhile, activities slowed in the restaurants & hotels sector as stay-over tourism rose at a slower pace than in 2015, while cruise tourism dropped considerably. By contrast, real value added in the utilities, manufacturing, construction, and transport, storage & communication sectors rose in 2016’s third quarter. Growth in the utilities sector was supported by gains in both water and electricity production. The positive outcome in the manufacturing sector was sustained by more repair activities on yachts that visited the port of Sint Maarten. Meanwhile, the expansion in the construction sector was driven by more private investments, particularly residential projects. In the transport, storage & communication sector, growth was led by more activities at the harbor, in particular an increase in the number of tankers and freighters that visited the port of Sint Maarten. Also, airport-related activities were up in line with the estimated increase in stay-over arrivals. The complete text of the Quarterly Bulletin for the third quarter of 2016 can be viewed on the Bank’s website www.centralbank.cw/qb-2016-3.